The history of volleyball and the history of basketball are closely related, both originating at nearby YMCAs in 19th century Massachusetts. Whereas the histories of most popular sports today begin in the Middle Ages or earlier with fuzzy origins (such as hockey, boxing, or American football), the history of volleyball has a more precise history, spanning the course of just over 100 years. 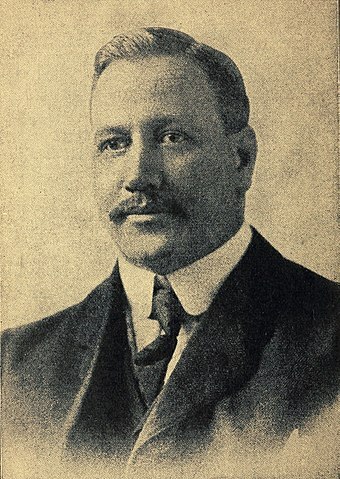 The history of volleyball began in the 1890s with William G. Morgan (1870–1942), a physical education instructor at the YMCA in Holyoke, Massachusetts. While attending the YMCA International Training School in Springfield in 1891, he met Dr. James Naismith (1861–1939), a YMCA instructor and the inventor of basketball earlier that year. Dr. Naismith’s success with his invention of a new sport planted a seed of inspiration in Morgan’s head, left to grow there for some time. In 1895, Morgan sought an indoor activity suitable for an elderly class of his at the YMCA. He found that even basketball, specifically designed to be a fairly gentle sport, was too vigorous and rough for his clientele. Morgan realized the need for a sport which individuals of all ages and all levels of athletic ability could play without fear of injury. With Dr. Naismith as inspiration, Morgan set about inventing his own indoor sport, which he would soon present to his elderly clients as mintonette (and later change the name to volleyball). Though Morgan did not relate every detail of the sport’s invention like Dr. Naismith did for basketball, he did shed some light on his process. He took elements from tennis and handball, inspiration from the newly invented game of basketball, and some creativity on his part to conceive the new game. Taking a nondescript oversized ball and setting up a badminton net in the gymnasium (after which he initially named this game), he introduced his class to his new sport. As mintonette was well-received by his class, Morgan decided to bring the game to the YMCA physical education board, which included Dr. Luther Gulick (1865–1918), director of physical education at the nearby Springfield YMCA and a key figure in Dr. Naismith’s invention of basketball. There was an immediate appreciation for the sport, and an official conference was held for a demonstration and consideration to officially add it to the YMCA handbook. At the suggestion of a colleague at the conference, Morgan changed the named from mintonette to “volley ball”. (The space was later eliminated.) The following year in 1896, “volley ball” was added to the official YMCA handbook. Several key changes were made to the sport over the ensuing years, primarily to increase its difficulty and required skill level. The most notable of these changes included the abandonment of “innings,” restricting the number of players, raising the net 6 inches to 7 feet (and later to 8 feet in 1916), disallowing air dribbling (when a single player would repeatedly hit the ball in the air), and reducing the number of points required to win a game (later called a “set”) from 21 to 15. Beyond these, many other changes to the rules have been made throughout the history of volleyball to adapt the game to more competitive environments worldwide. Frank, A. M. (2003). Sports and education: A reference handbook. ABC-CLIO. Fisher, G. J. (1916). Official volleyball rules as adopted by committees representing the Young Men’s Christian Association Athletic League and the National Collegiate Athletic Association. New York: American Sports Publishing Company. The Volleyball Story. (archived). Fédération Internationale de Volleyball. Retrieved November 22, 2016.